Ever feel, no one really knows how you feel? Ever been to a widow’s retreat? Consider and pray about going to this one. You may find it to be a community to where you belong. 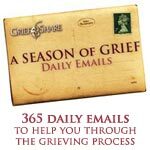 My friend and blogger, Ferree, has all the information on her website, Widow’s Christian Place, to start planning for your spring retreat. Treat Yourself to A Widows Retreat! Make It A Christmas Present for YOU! 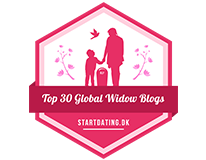 Wouldn’t it be wonderful to meet women who “get it” about widowhood? Who know by experience that the Lord will not leave you stranded, but also know the pain and the struggle? That’s what happens at a widows retreat. The best one to minister to a widow is another widow and that’s what will happen the weekend of March 3-5. Gayle Roper, author of “A Widow’s Journey” and many other wonderful books (see yesterday’s blog post) hosts this retreat. Wouldn’t you like to be in on this time of encouragement and strengthening? Start praying about going today, and sign up soon! Please email me as soon as you register so I can help you get to know some mutual friends a bit ahead of your stay. WCplace@gmail.com The information below is from the Sandy Cove Ministries website and newsletter. Sandy Cove Retreat Center is located near the town of North East, Maryland, “serenely situated between Boston and Philadelphia.” It’s beautiful!